Duel with up to four players and scramble after gems as your favorite heroic or villainous knight in Shovel Knight Showdown. All the classic Shovel Knight characters you know and love are playable, many for the first time ever! Gather your pals for endless multiplayer clashes, or take control of your favorite character and dig into Story Mode. Familiar controls, items, and mechanics return, making this a platform fighting game that anyone can jump into and try. 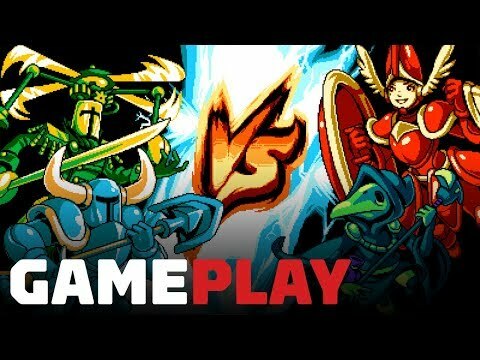 The upcoming Shovel Knight Showdown Switch release date is 2019 in the US and the UK. Notify me when Shovel Knight Showdown Switch is available.